During the life cycle of every business, there comes a point when negotiation is the most fair and prudent way forward. At this time, it is important to remember that giving in to emotion is only going to complicate matters. When you come to a crossroads, and negotiation is called for, cool heads can and must prevail and that which is best for the health and future of the business is what must be done. 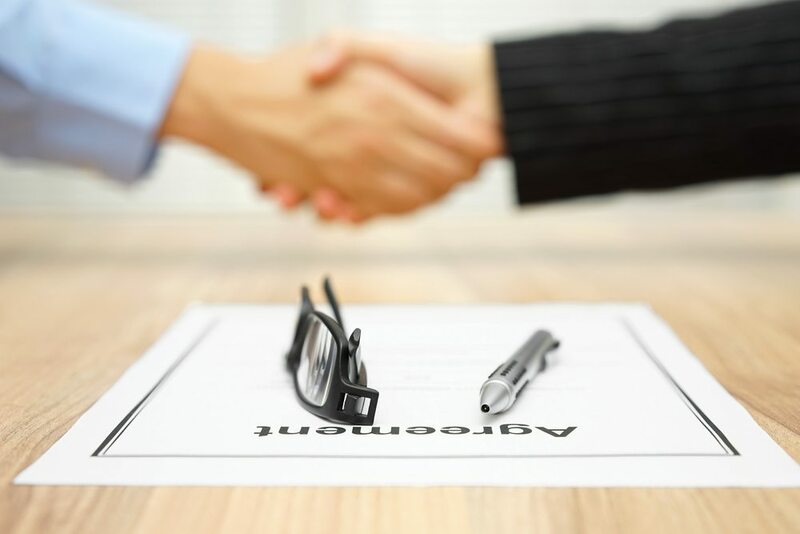 The negotiation attorneys at Giordano, DelCollo, Werb & Gagne, LLC are well experienced in the art and science of lease and contract negotiation. Our aim is to consistently advise our clients as to what is reasonable and what is risky and to fight always for what is fair. You can rest assured that we will be clear and prompt in our communication and offer you advice that accounts for all possibilities. Regarding our philosophy on negotiation, we will settle for nothing less than that which is in the best interest of you and your business. Period. Though the nature of negotiation can, at times, lend itself to making concessions or dealing in gray areas, there is no doubt that when it comes to negotiating on behalf of our clients, we must hold ourselves to a Pass/Fail grade. We do not take moral victories away from the negotiating table as our clients cannot pay their bills with moral victories. In our field, success in negotiating comes as a result of knowing what is necessary for the client and what is fair as it relates to the agreement under the law. When you hire the business attorneys at Giordano, DelCollo, Werb & Gagne, LLC, you can expect to deal with a professional legal team that sets the bar very high for itself. We draw from years of experience and aim for excellence on behalf of each client we serve. If you demand only the best of yourself, your vendors and your employees, shouldn’t you do the same as it relates to your negotiating team? If you are looking for the best result in a pending legal matter, hire the firm that holds itself to the highest standards of excellence. Call the offices of Giordano, DelCollo, Werb & Gagne, LLC today so that we may begin discussing your legal matter with you in short order.